I’m currently on my trip out west (and back). The moment this post is published I should be getting off the train and rushing off to check out a trash day in Edmonton. With any luck I’ll find something cool to show you upon my return. In the meantime, here’s some recent finds that didn’t make the blog for various reasons (none of which relate to the coolness of the items themselves). I came across this pile on a Thursday evening a couple of weeks back when I was walking my busted bike to the co-op. 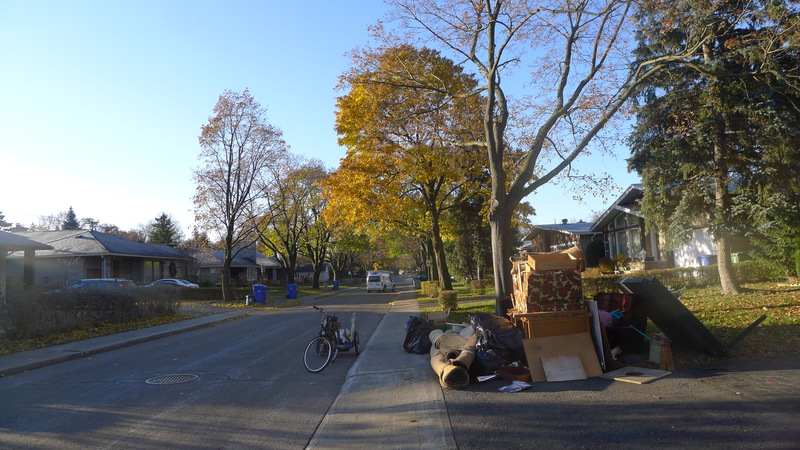 The intersection was Mont-Royal and Henri-Julien. 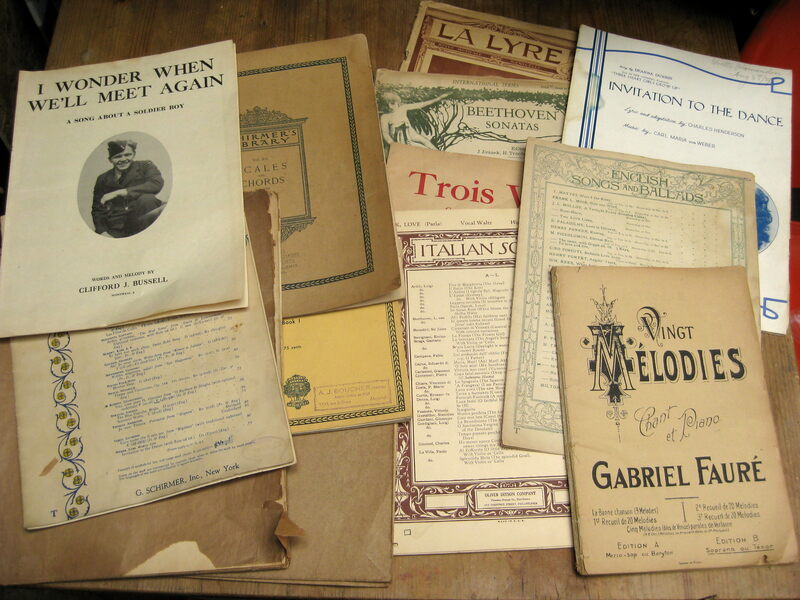 Inside one of the boxes were a bunch of old music books, magazines, and theatre programs. I didn’t post them because I had just done an ephemera-heavy post earlier that day and didn’t want to overwhelm you with old paper stuff (it’s not everyone’s cup of tea, after all). 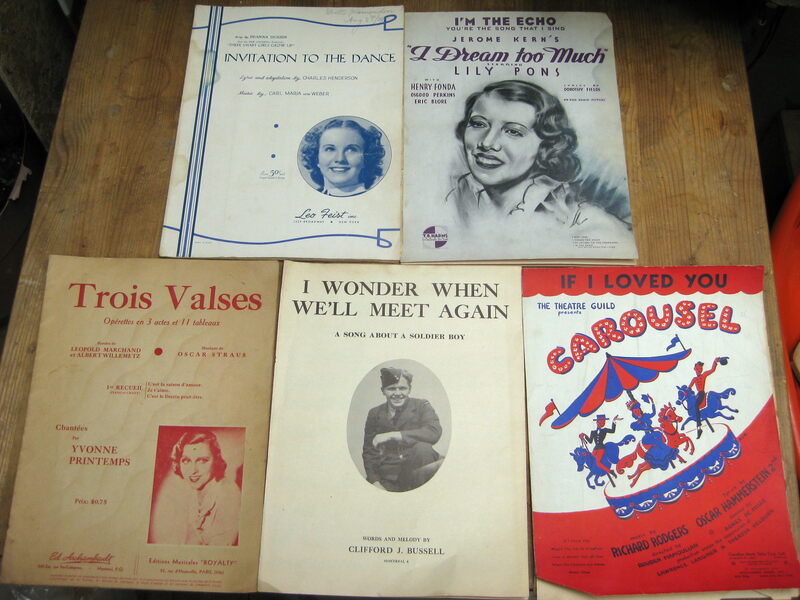 Here’s a few of the songbooks, all of which were published in the 1930s and 1940s. 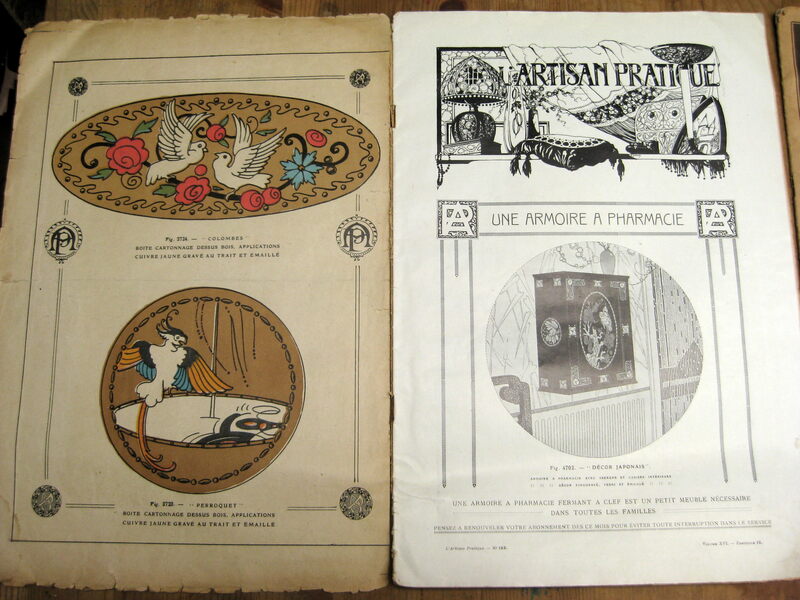 On the left is a 1923 music magazine. 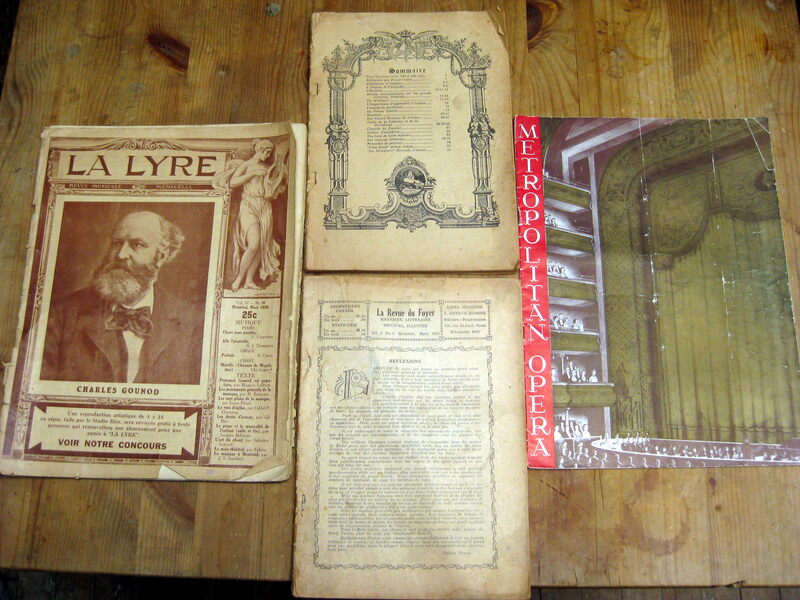 On the cover is the image of Charles Gounod who was apparently a French composer. There’s a Gounod street in Villeray and now I know why! In the middle are two old literature magazines, both missing their covers unfortunately. They’re still pretty cool though and I’m sure someone at a yard sale will appreciate them. 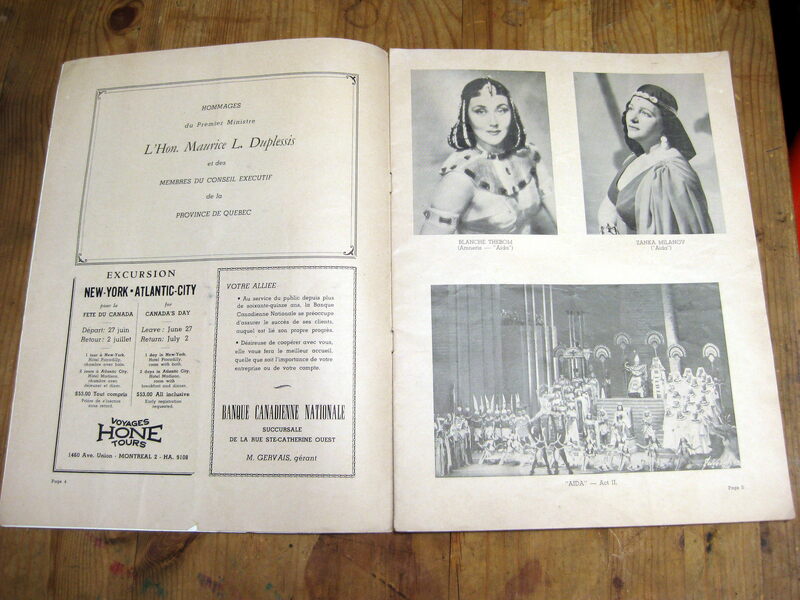 On the right is a program from a Metropolitan Opera show in 1952. In one of the front pages they pay tribute to Maurice Duplessis, the Premier of Quebec for many years from the 1930s-1950s. Of the bunch these home décor magazines are my favorites. 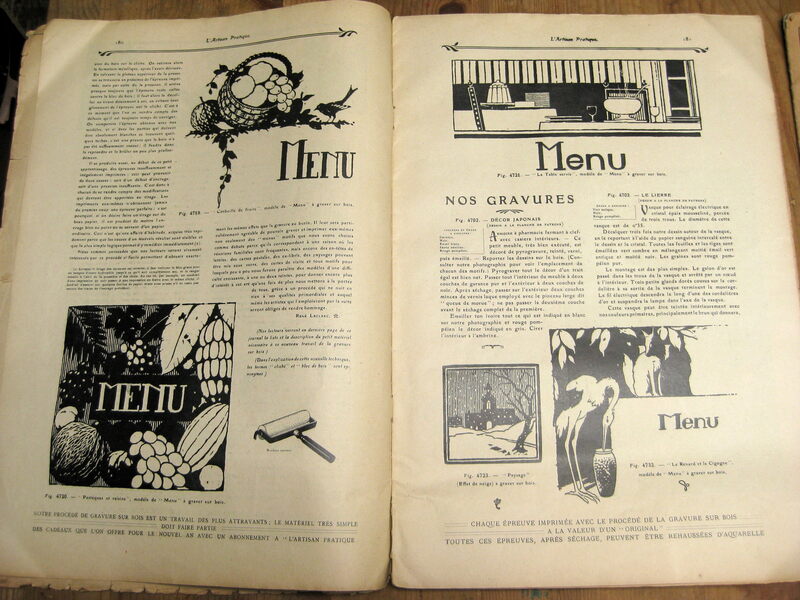 They’re from 1924 and 1930 respectively and feature a lot of cool old art and design. 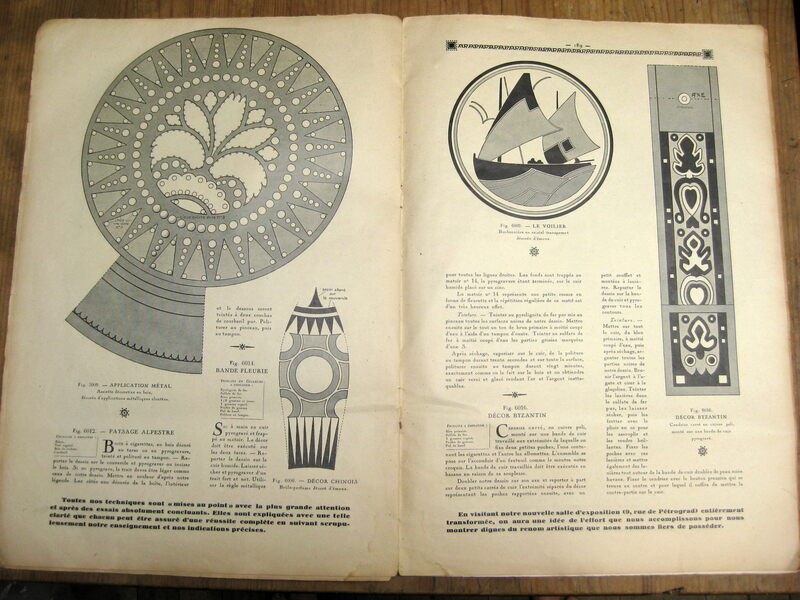 These would be great for an artist who wants to simulate these old styles, most of which have a strong art deco feel. 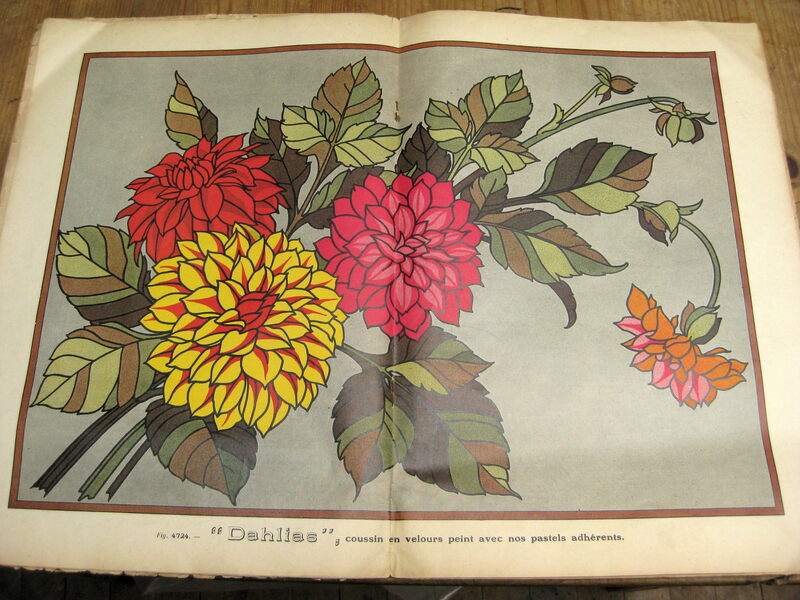 I really like the two page image of the dahlias which appears right in the middle of one of the magazines. Perhaps it was intended to be taken out and potentially framed? This is the place on Bloomfield in TMR I talked of in my last post. I came across this collection of stuff the Wednesday before last. It was a disappointing and frustrating day overall. I didn’t end up finding enough to warrant a separate post and my general frustration led me to temporarily under-appreciate what I did find. 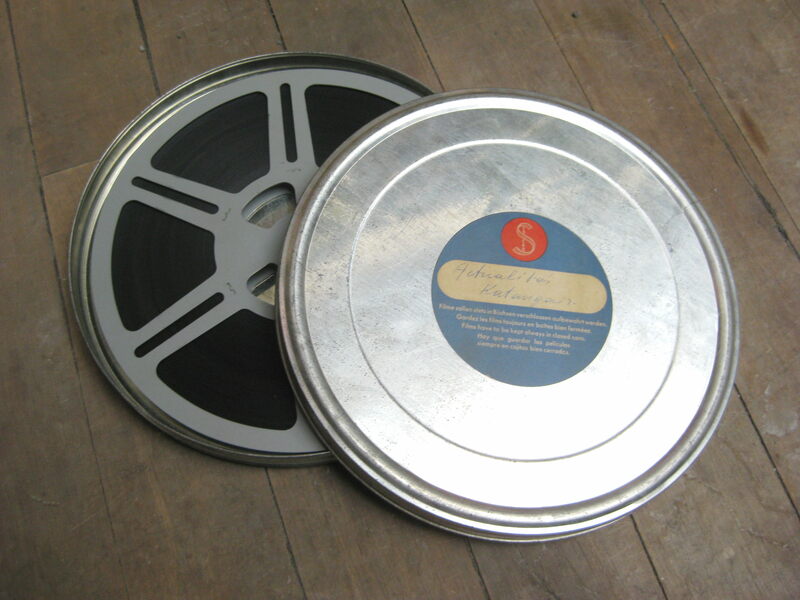 Still, there was a bit of good stuff, including a bunch of old film reels. 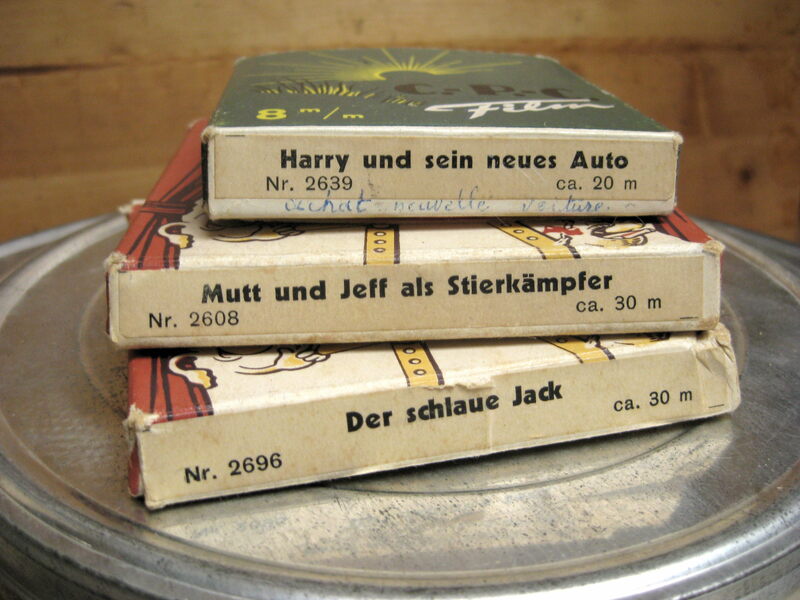 On the top are three 8mm short films, all of which have German titles. I’m quite certain they’re all silent movies as there is no space for audio on the film. They’re obviously quite old (Harry’s new car (“sein neues Auto”), for example, looks to be from the 1920s), though I suspect these are re-prints from a later time. By the look of the packaging I’d say they were made in the 1960s, though I could be wrong. Regardless, it’d be fun to give these a look-see. I just have to find an 8mm projector! In the plastic case was an old Western movie. “Il etait une fois dans l’ouest” translates to “Once upon a time in the west,” a 1968 film by Sergio Leone which according to wikipedia is “generally acknowledged as a masterpiece.” I’ve never seen it but I might have to check it out giving that rave review. Though the label is written in French the opening credits (and copyright threats) seem to be written in English. I don’t think the sound is printed on the film regardless. I think this film has the potential to be the most interesting. 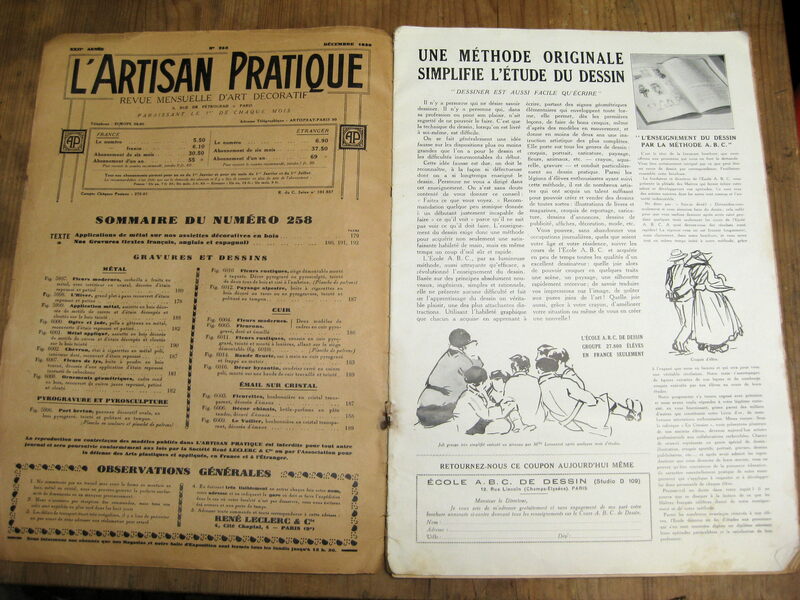 According to the first frames it was published in April 1961 and presented by the state of Katanga. I had never heard of Katanga before but I did some research; apparently it was a breakaway state that separated from the recently independent Congo in 1960 before surrendering in 1963. From the sounds of it Katanga was a puppet state, one supported by Belgium to support its economic interests. Given Katanga’s status as a puppet state this film seems likely to be an great propaganda piece. Its title, “Afrique Nouvelle” (New Africa) only makes it sound more enticing, at least to someone with an interest in politics and sociology like myself. I also haven’t found any references to it online (though I haven’t spent too much effort yet researching it) which also adds to the intrigue. Of all the films this is the one that I want to watch the most. I’ll have to track down an 8mm projector. 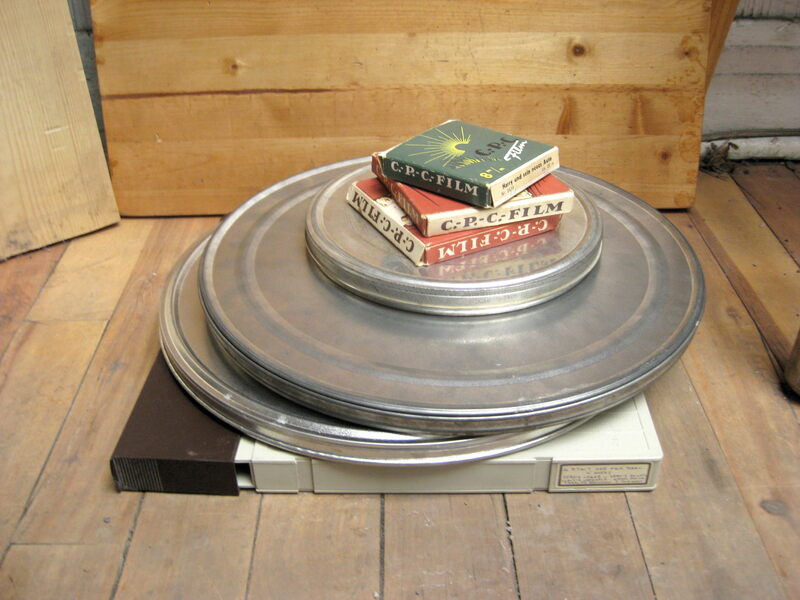 There’s also a mystery film (the big one in the metal container). It doesn’t have a label and there’s no title or hint as to what it could be on the first series of frames. It’s probably from the 60s as well. Let’s finish with this spot. As you can tell this is from a while back, November in fact. I posted about some other things I found here but overlooked a few interesting pieces that I came to appreciate later. … but they’re actually pretty cool. All three are hand written. Two look to be class notes. 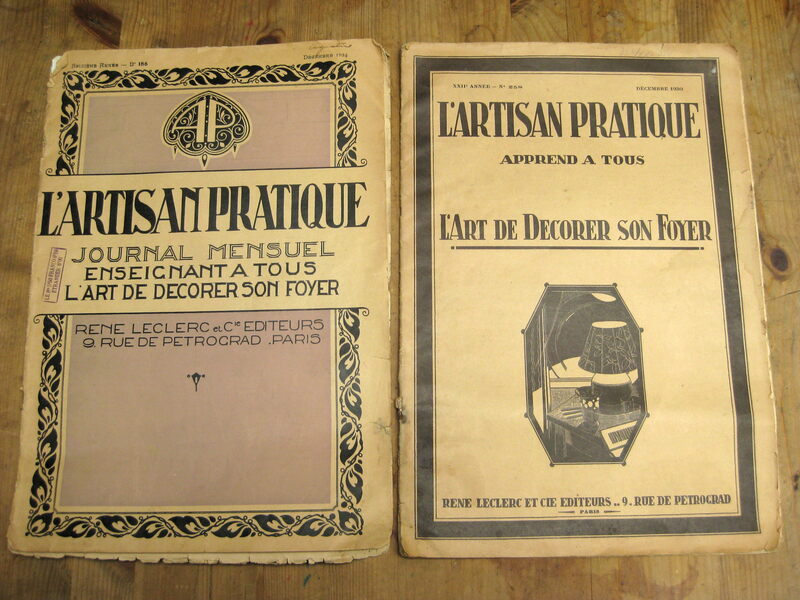 One (the biggest) is from a Université de Montreal course on Hygiene from 1924-25. 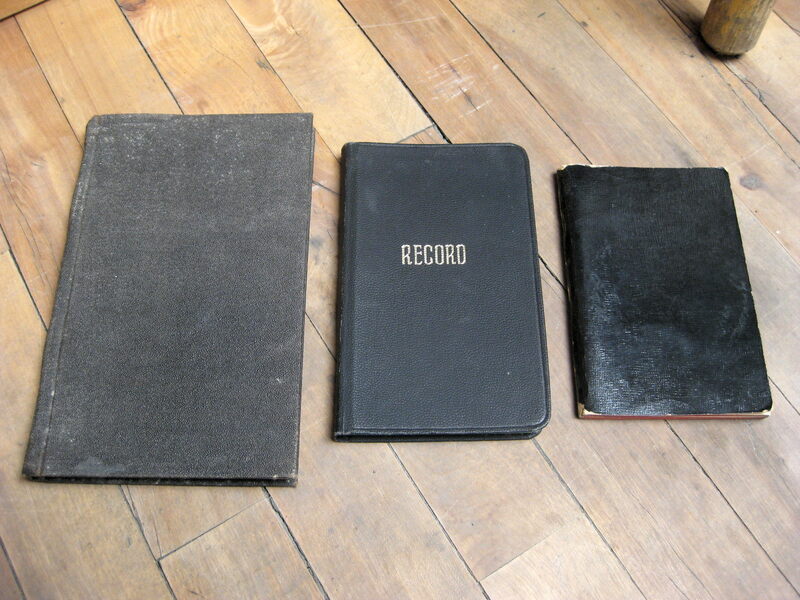 The other (the one with “record” written on the front” is from 1947 and looks to have something to do with medical solutions and serums. It includes a bunch of “recipes” for what look to be injections. 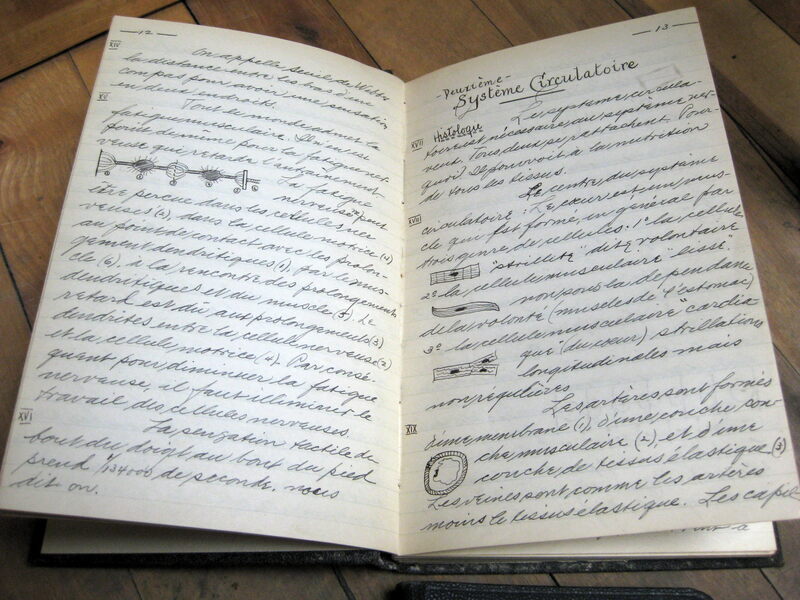 The smallest book looks to be the minutes from the 1927-28 Université de Montreal Pharmacology student association. I love finding hand-written stuff because you know it’s one of a kind. I wish my French was a bit better so I could read these a bit, especially the minutes which could contain some interesting tid-bits. If you want to take a closer look click the images below. If you want to see a full-size image there’s a link at the right bottom after you click on it “View full size”). Anyways, that’s it for now! I’m sure that at the latest I’ll be back to do next Wednesday’s TMR run. Driving from Edmonton to Montreal takes around three days, but we might take our time (or the weather might force us to take our time). We’ll see. Either way I’ll be back soon enough, I promise. Wow, some great old stuff there Martin! I’m sure you could get some good money with the theater programs and the music books..they’e quite collectible. Regarding the Sergio Leone films, if you don’t have music on them you’re missing a huge part of their appeal. The ‘Spaghetti Westerns’ of the 70’s were very popular here ..a bit kitchy now but the music lives on and they also gave Clint Eastwood a great start to his career. Wow, driving all the way to Edmonton and back.. good luck with the weather coming home. Enjoy your time away !. New music books are very expensive. You should have no problem finding buyers for this lot of very familiar pieces. I love those old magazines too. You’ve got a couple of gems there. Good luck finding a 8mm projector! 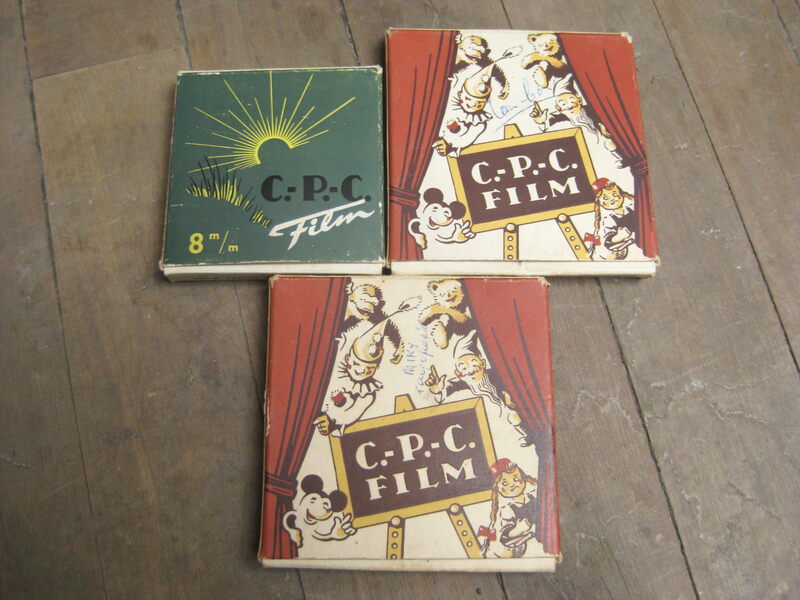 It would definitely be cool to take a look at those films … particularly the propaganda one. I once did see a projector on the sidewalk with some other garbage, probably on a July 1st. But that was quite a while ago. They are long in the past, which limits the chances of someone tossing one out these days. VCRs and then camcorders have been around for decades, so thre’s been decades of time for people to move on. WIth time, things become less common, and then “too valuable” to just toss. Back when I actually travelled (by train, or bus) when I bought and read a newspaper, I’d actually leave it on a bench so someone else could read it afterwards, save them from having to dig into the garbage cans. Love your blog. Im from Edmonton and spend lots of time with waste. Email me if you want to get in touch. 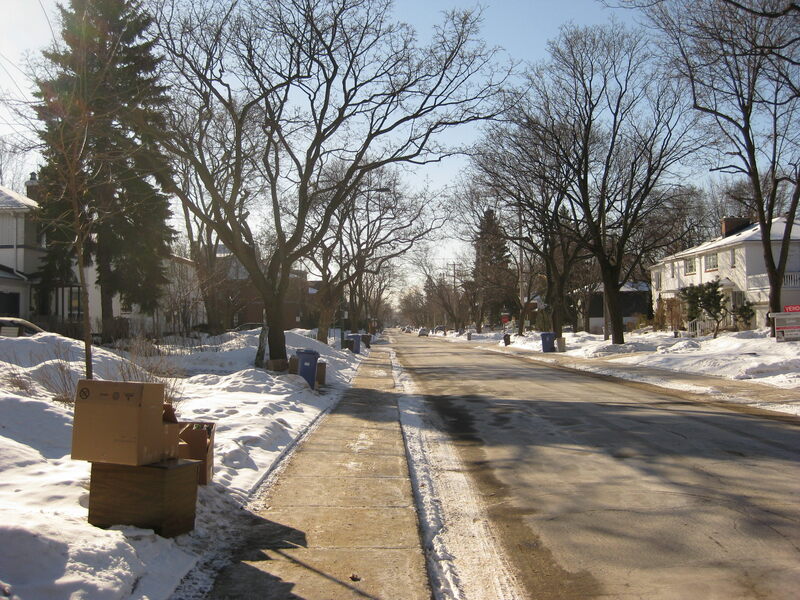 It is too cold for trash-picking in Edmonton in February.However,in Vancouver you can trash-pick all year long. 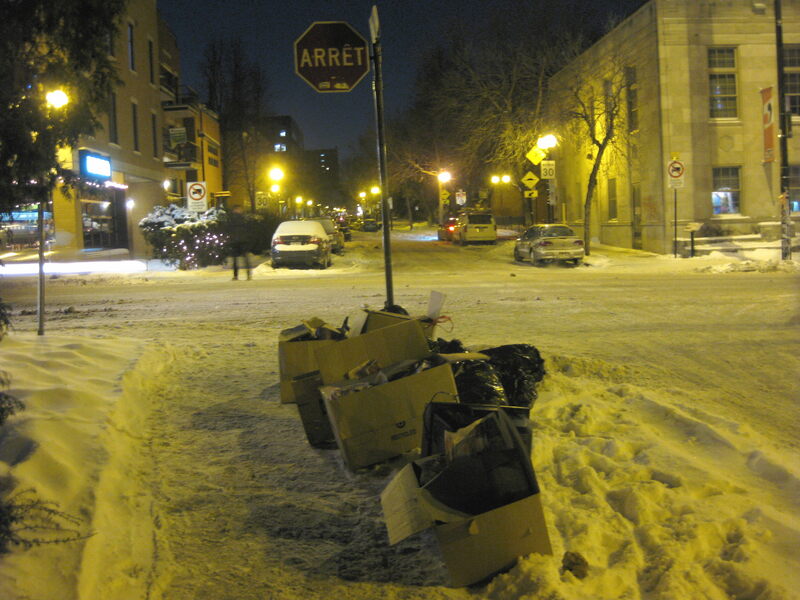 Martin is out of Montreal and apparently in Edmonton this week.Can someone else take over and search the trash as well as recycling bins for treasures this Wednesday morning in Town of Mount Royal?It would be a pity if noone did.I will check out three to five streets in TMR this Wednesday morning myself.But I am semi-retired,have some arthritis and walk slowly.I have some spare time on Wednesday morning but can cover only a little ground.Nonetheless I live nearby in Villeray. I’ll be doing my usual shift in Town of Mount Royal tomorrow so never fear… I’ll have a car this time around too!